YO! Wins Best New Technology! News release for one of our brands… After months of hard work and an exciting whirlwind visit to Silicon Valley, we are incredibly proud to announce that YO! 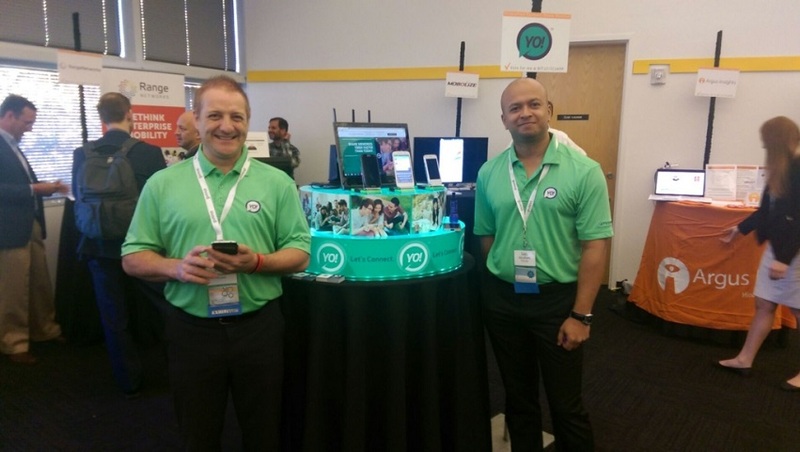 was a big hit at the TC3 Summit and has officially been named “The Best New Technology Demo” at the conference! “The Telecom Council is proud to help connect young companies with innovative ideas, like YO!, with decision-makers in the telecom industry,” said Liz Kerton, President of the Telecom Council of Silicon Valley. The Summit brings together young cutting-edge companies with the decision-makers in the industry to move innovation to the market faster. The TC3 Demo Pavilion housed over 40 new technology demos spanning from analytic and security to small cells and smart devices. Over the 2-day Summit, the attendees voted for their favorite demos and selected, wifi sharing app, YO! from Yo.com. TC3: Telecom Council Carrier Connections is a 2-day executive summit organized by the Telecom Council of Silicon Valley to broadcast the innovation priorities of 50+ global telcos and connect them to the startups, entrepreneurs, and VCs who will build telecom’s next generation of fixed and wireless products and services. 2015’s TC3 Summit will happen Sept. 30-Oct. 2. Online at http://www.telecomcouncil.com/tc3. YO! is a free mobile app from YO.com and Left of the Dot Media that empowers users to share and connect without the Internet. YO! recognizes that mobile users around the world have incredibly smart devices capable of producing and viewing amazing content, yet these same users have difficulty in sharing or accessing this content as data transmission over standard networks and the Internet is just too slow. This problem is exacerbated in developing markets where it is just too expensive to share. YO! lets people share photos, videos, apps, and messages across a hyperlocal network at high speeds and for free. While still in private beta, we’re sharing our story as it happens. Follow along at:http://www.yo.com.